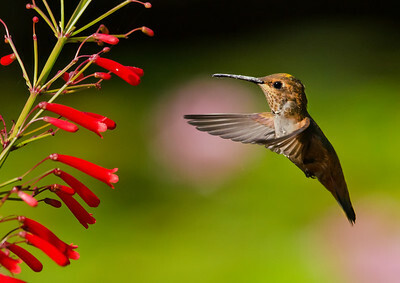 Allen's Hummingbird rising to agapanthus blossom. 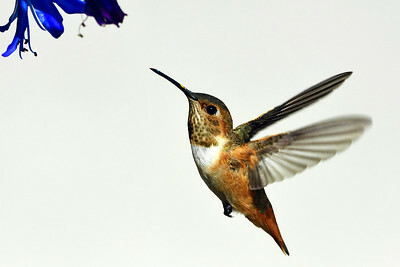 The background is the white stucco wall of a neighbors home. 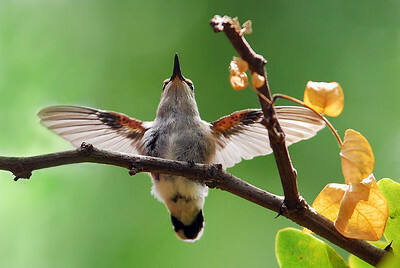 First time out of the nest for this fledgling Hummingbird stretching its wings at Summers Past Farms in Flinn Springs, California. 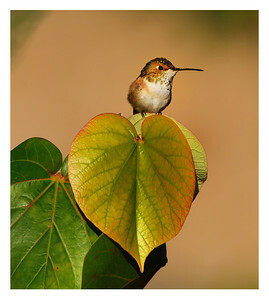 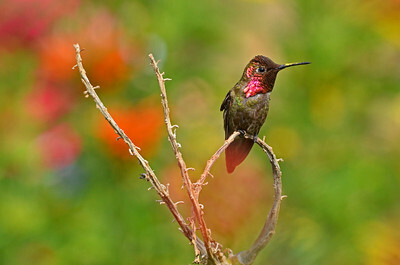 Allen's Hummingbird and agapanthus blossom. 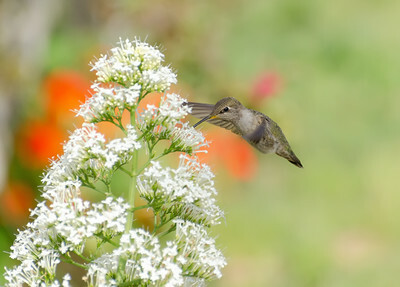 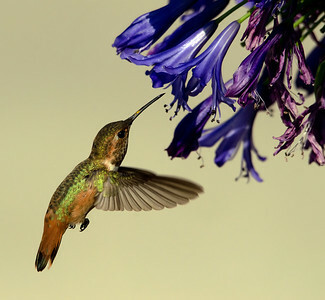 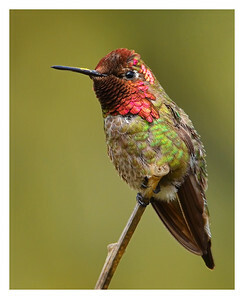 "Hummingbird in Spring" Costa's Hummingbird extracting nectar from flowers in a spring garden. 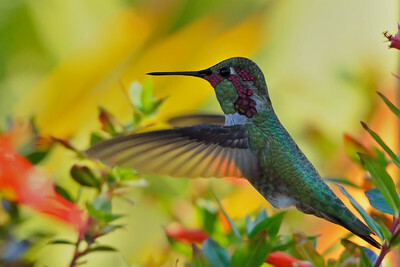 Anna's Hummingbird comfortably perched in a flower garden. 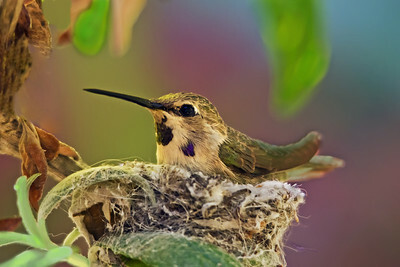 Female Costa's Hummingbird keeping her eggs warm at Summers Past Farms in Flinn Springs, California.